Online casino jackpots come in multiple varieties and can reach into the millions. The largest casino jackpots come from progressive games. Progressive games provide a unique opportunity for jackpots to climb over £10 million regularly. With fun and huge progressive casino jackpots, online slot machines can be both profitable and a lot of fun. What is a progressive casino jackpot? A progressive casino jackpot is a jackpot that increases with every slot machine bet. In the early days of slot machines, there was just a single jackpot on a single machine. As casino owners began networking their machines, they were able to have multiple machines working to win a single progressive jackpot. A percentage of each bet was devoted to this progressive jackpot. It wasn’t long before casino slot machine manufacturers worked with casinos to have progressive jackpots that would span multiple casinos. 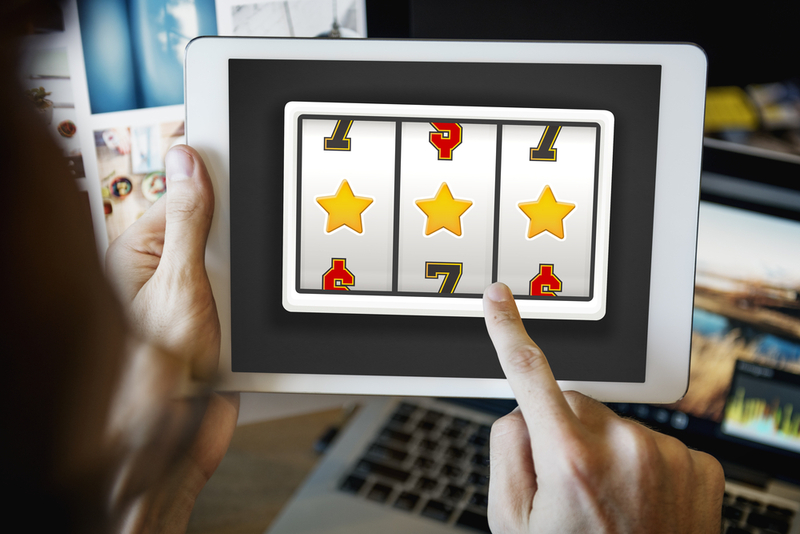 With the rise of online casinos, it was only natural that progressive jackpots would take the center stage. They allowed players to play progressive slot games with players around the world. The sky’s the limit with so many players contributing to these huge online casino jackpots. Every gaming software provider has progressive games because they know players want their chance to take home a huge pot of money. Remember the simple rule about progressive games, every time someone places a bet, the jackpot increases. What are the types of progressive jackpots? Some casinos that utilize their own bespoke gaming software to provide their own progressive jackpot games, but most of the progressive casino games come from the major gaming software companies like NetEnt and Microgaming. The largest software companies usually have the largest jackpots because they have the most players playing. While the largest progressive jackpots are on the slot machines, there are progressive jackpots on table games. Blackjack is a popular game that has progressive jackpots. Players who make a side bet can win with the right kind of hand. Caribbean Stud type games also have a progressive side bet. The jackpot is usually won with a Royal Flush. In both these cases, side bets contribute to the progressive jackpot. Roulette, Let it Ride, and many other table games have online progressive jackpots as well. Microgaming is one of the largest gaming software providers. They are the owners of the world famous Mega Moolah slot game. It’s a 5 reel 25 pay-line powerhouse that is always near the top of the chart for huge jackpots. They also have King Cash A Lot with large cash jackpots and Major Millions with jackpots well over £5 million. Microgaming jackpots are available in dozens of games. NetEnt is a powerhouse in online slot gaming. They have Mega Fortune, Hall of Gods, and Arabian Nights as their powerhouse NetEnt jackpot games. They have a huge variety of games with lower progressive jackpots so while they are the biggest, because of their availability, they can be a healthy playing experience. Playtech is a leader in games with entertainment licensed characters. They have melded great jackpots with characters from movies. While their biggest Playtech jackpot is Jackpot Giant with jackpots over £5 million, they have Avenger, Spiderman, and even Monty Python games with large progressive jackpots. Betsoft contributes to the list of the top online casino jackpots with several games. Its game It Came From Venus frequently has jackpots over £1 million. Other casino providers have their games with different progressive casino jackpot prizes. Just check the different casinos to see what games and progressive jackpots they have. The Guinness World Record for an online slot machine jackpot is £13,213,838.68. It’s biggest jackpot win online ever. That was one at the Betway Casino on the Mega Moolah slot machine. It was won with just a 25p bet after playing for just 7 minutes. It beat the previous biggest jackpot win online in 2013 by less than £15,000. While once rare, it is becoming commonplace to see progressive casino jackpots of more than £5 million and £10 million is becoming less rare. Microgaming jackpots and NetEnt jackpots always seem to chase each other to high levels. Online slot machines are totally random and therefore there is really no way to determine if a win is likely or not on the very next spin. Normally this would mean that these games are immune to strategy. When playing for progressive jackpots, this randomness can actually help you. While every spin of the slot machines gives you an equal chance to win the jackpot, probability is additive and the more you play the bigger your chance to win. This probability additive property extends not just to your playing but everyone else’s as well. Look at the history of jackpots from a particular game. You’ll probably notice that most of the jackpots occur at a mid level and the monster sized jackpots are relatively rare. If you focus on playing progressive jackpot games that are overdue for a win, you increase your chances of winning it. You can win these biggest and best jackpots, but you can’t win if you don’t play. These online casino games are a lot of fun to play while trying to see if you get your symbols in a row that show you have hit the biggest online jackpot win ever. Whether you try for a Microgaming jackpot or a NetEnt jackpot, you’ll have fun.